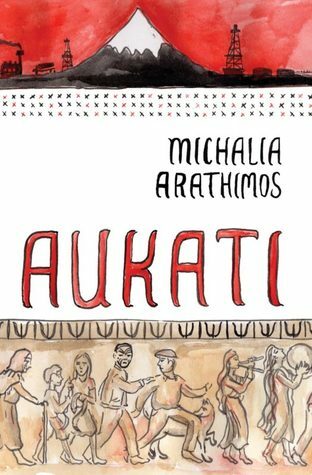 Author Michalia Arathimos has Greek-New Zealand heritage which is strongly reflected in her novel AUKATI. Set in New Zealand, this is a crime novel based around the scourge that is fracking. Featuring two main characters, Alexia, a law student with a controlling Greek family, and Isaiah, a young Maori man trying to reconnect with his own family. Cut loose from their backgrounds, and their cultures, they are drawn into the fight to protect Isaiah's Taranaki iwi from the devastation that the fracking is causing. As a protest march turns violent, and the group start to suspect an informant, everyone becomes tense, suspicious and wary. A refreshingly new approach for a crime novel - the threat here is multi-faceted and the sense of dislocation strong. 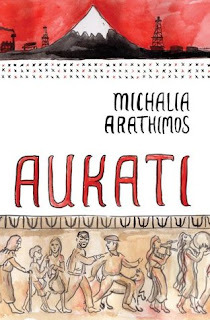 Descriptively written, it is steeped in sense of place and both cultures - using a liberal amount of Greek and Maori terminology to tell the tale. Perhaps a little too much, as readers from outside those communities are going to have to work hard to maintain understanding at points, as the insider speak is so dense concluding meaning will sometimes require effort. Effort worth devoting if you're of a mind to persist as AUKATI explores consequences and disruption on all sorts of different levels - individually for each of the main characters and their families, within failing romantic and friend relationships, amongst the activist community as trust breaks down, and between activists and law enforcement, and pro-fracking proponents. It's a complicated mix that ebbs and flows naturally, that sparks friendship, resentment, and inter-generational tension, all contained within that insider speaker.